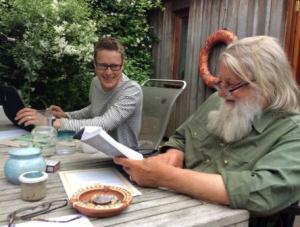 Middlesex University lecturer Marcus O'Dair's biography of legendary musician Robert Wyatt has been serialised in five parts by the BBC Radio 4 programme Book of the Week. 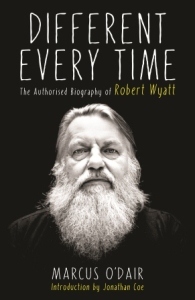 Published by Serpent's Tail, Different Every Time is the only authorised biography of Wyatt, who became famous in the 1960s as the drummer and singer for the band Soft Machine and has been described as an English national treasure. Wyatt played alongside Pink Floyd and toured the US with Jimi Hendrix, but his life changed dramatically when he fell from a fourth-floor window at a party and was paralysed from the waist down. "I first met Robert when I was working as a freelance music journalist and broadcaster, presenting a podcast for the Independent," says Marcus, who is Co-Course Leader of the BA Popular Music degree at Middlesex. "His music is incredible, but he has also had an extraordinary life, taking in Marxism, paraplegia, alcoholism and something called pataphsyics, which paved the way for surrealism." Following its launch late last year, Different Every Time has been named a music book of the year by the Guardian, the Independent, the Times, Evening Standard and Uncut magazine – and Marcus says he is "happily surprised by the response". "Robert's worked with everyone from Bjork to Brian Eno and a number of non-musicians have cameo roles – Julie Christie, Richard Branson, William Burroughs, Robert Graves, George Braque – but no-one had written a biography." Different Every Timed is abridged and serialised in five 15-minute episodes by BBC Radio 4, which are available on demand until 5 February 2015.